The kindling effect can be difficult to assess, let alone treat, for the novice caretaker. It is one of the primary reasons that detoxing from alcohol should not be attempted alone or without medical supervision. It takes a trained eye to understand this process. As a result, medical detox is required for alcohol withdrawal. 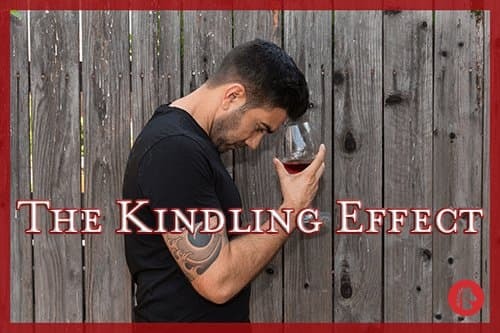 The kindling effect occurs when there have been repeated attempts to detox from sedative-hypnotic substances, such as alcohol. Kindling is essentially oversensitivity to withdrawal, almost as though the body has developed its own post-traumatic event from withdrawal experiences in the past. What Causes the Kindling Effect to Occur? Withdrawing from alcohol is a difficult process, but for some people, it gets harder every time. This isn’t because the severity of an addiction is growing; that is a myth. Rather, it is the kindling effect taking place due to neurological synapses in the brain that react more abruptly to the stimulus of going through withdrawal after they’ve been through it several times before. This overly dramatic response system is thought to stem from brain damage that occurs during withdrawal. The journal Neuroscience and Biobehavioral Reviews notes repeated exposure to the withdrawal process does indeed cause neurobehavioral excitability. It is most closely linked to cases of withdrawal that induce seizures. Likewise, seizures seem to be more common in cases of withdrawal where there have been several prior withdrawal episodes. According to the journal Alcohol Health and Research World, among clients treated for alcoholism in one study, 48 percent who had seizures during detox had been through withdrawal at least five times before, whereas only 12 percent of those who had no seizures had been through withdrawal the same number of times. Even if a case of withdrawal appears to be mild, it is best to treat alcohol withdrawal with more aggressive treatment mechanisms to ward off the appearance of the kindling effect. Inpatient treatment is usually recommended for individuals who have sought treatment before and relapsed. Knowing these clients have gone through withdrawal before automatically puts them at a higher risk of experiencing the kindling effect during treatment. As a result, an inpatient rehab setting is the safest environment. In the event of seizures, panic attacks, or loss of consciousness – which are all common with the kindling effect – these clients can immediately receive medical care, medication, and treatments to get things under control while keeping them comfortable and on the path to sobriety. DBT has been shown to be highly effective in the treatment of alcoholism, as has CBT. People in treatment for alcoholism have also been shown to have higher rates of treatment compliance if DBT is rendered. The journal Addiction Science and Clinical Practice reported on one study of people struggling with alcohol abuse. Of those who received DBT, 64 percent remained in treatment while only 27 percent of those who didn’t receive DBT did. Support groups are also important for those who are recovering from alcoholism, as substantial support is often the backbone of lasting recovery. Alcoholics Anonymous has remained an institution of trust within the treatment industry for more than 80 years, and it serves to connect recovering alcoholics with the support they need to sustain recovery. The ability to reach out to a sponsor and find help immediately is crucial in a society where alcohol is so present on a daily basis. The journal Psychiatry states that prescription anticonvulsant medications, like carbamazepine, can be used in the treatment of alcohol withdrawal to prevent seizures. By controlling for seizures, the kindling effect can often be addressed. As stated, the best defense against the kindling effect is supervision by medical professionals. Individuals should never attempt to undergo alcohol withdrawal on their own as the results could be life-threatening. Medical detox is required.